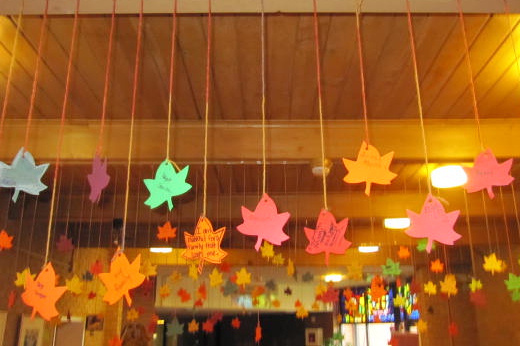 All the kids from our Sunday school classes and the church’s day school made “leaves of thanks.” Some other moms and I hung them from beams in our church narthex. Don’t they look neat? What a great idea….I love the look! What a wonderful idea! Must have been a blessing for the church to see all the thankfulness flowing from the hearts of the children! Wonderful idea! And so meaningful at this time of year. Hope it helps everyone remember the bountiful blessings of God.